Home / -News- / Angie Stone / Sequence / Early-1980's Sugar Hill Group The Sequence Suing Mark Ronson & Bruno Mars Over "Uptown Funk"
Early-1980's Sugar Hill Group The Sequence Suing Mark Ronson & Bruno Mars Over "Uptown Funk"
It took them three years, but the female funk trio The Selector are suing Mark Ronson and Bruno Mars over their massive hit "Uptown Funk". In reality, it really didn't take that long. Almost two years ago, Spin reported that the trio (Angie Stone, Cheryl Cook (Cheryl the Pearl), and Gwendolyn Chisholm (Blondy)) had noticed the similarities but it is only recently that they actually filed their lawsuit. 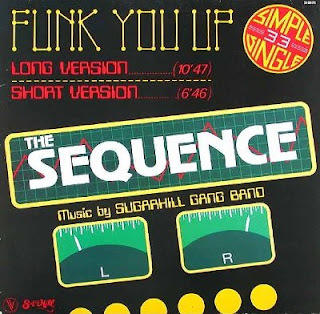 The basis of the group's suit is a small part of the "Uptown Funk" structure which they say was based on their biggest hit, "Funk You Up" (1980 / #15 R&B) where they sang "Funk you / Right on up / We’re gonna funk you right on up". Mars sings in "Uptown Funk" "Up / Town / Funk you up / Uptown funk you up". The cadence of the two lines is also very similar. Lawsuits are nothing new to "Uptown Funk". Ronson and Mars have already added The Gap Band to the song's credits based on similarities to their "Oops Up Side Your Head". Others who have disputed the song include Serbian artist Viktorija for their song "Ulice Mracne Nisu Za Devojke" and Collage for their "Young Girls". The Sequence were the first all female hip hop group to be signed to Sugar Hill Records in the late-70's. Label owner Sylvia Robinson first saw them after a Sugarhill Gang show. "Funk You Up" was Sugar Hill's second single after "Rapper's Delight". The group released three albums between 1980 and 1983 and had two other charting songs, "Funky Sound (Tear the Roof Off)" (1981 / #39 R&B) and "I Don't Need Your Live (Part One)" (1982 / #40 R&B). Post-Sequence, Angie Stone went on to solo success.